Man killed after being struck on oncoming train between Beit Shean and Afula, in northern Israel. 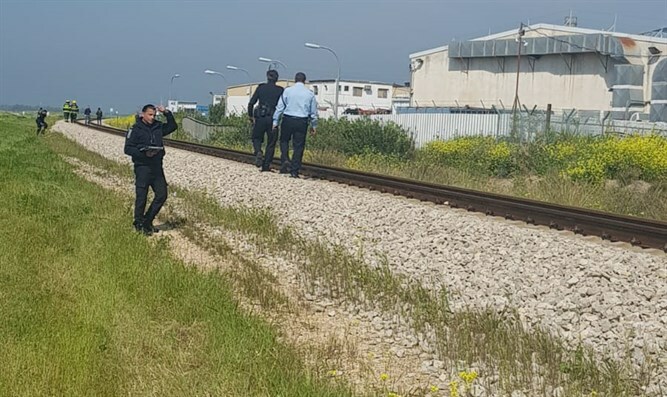 A man was killed Tuesday morning while he was walking on the tracks of a train line in northern Israel, police reported. The incident occurred in between the towns of Afula and Beit Shean, when a man in his 30s, for reasons which remain unclear, stepped onto the train tracks – and into the path of an oncoming train. The man was hit and killed instantly. MDA emergency first responders were called to the scene, but were forced to declare the man dead at the scene. “When we arrived at the scene, we saw a train on the tracks, and a little ways away was a man in his 30s lying on the ground, unconscious, with very serious multi-system injuries. He had no vital signs, and we were forced to declare his death,” said MDA paramedic Roman Belman. Police have opened an investigation into the circumstances of the incident. As a result of the accident, authorities ordered a closure of the train line, resulting in disruptions to eastbound service in the north.